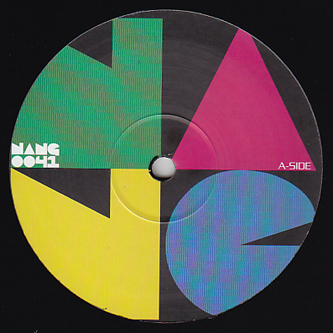 Taster 12" for the 2nd volume of Nang's Array series, featuring tracks from Bottin, Toby Tobias, Proper Heat and Space remixed by Justus Köhncke. It's a pretty camp affair, this one. Bottin presents Tinpong with 'Jabberwock (Dub Mix)' a slice of uptempo NRG disco-pop, next to a slick cut from Nang's new signings, Proper Heat. Toby Tobias gives one of his downtempo specials on 'Fluffy Fruit' and Justus Köhncke reworks Space's vintage 'Deliverance' for peaktime flouncing.